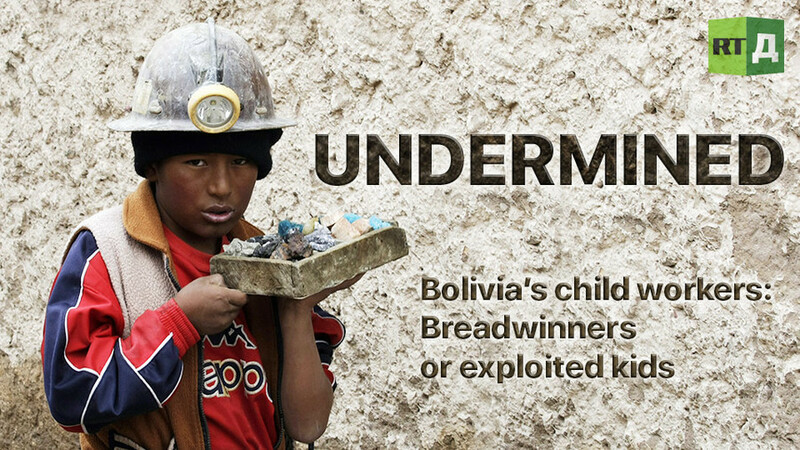 While most countries have tried to eradicate child labor, Bolivia became the first nation to legalize it. In 2013, the government announced its intention to set the minimum working age at 14, protect the rights and safety of working children, and phase out child labor completely by 2019. However, during the parliamentary debate, child workers took to the streets of La Paz to protect their ability to support their families. In the end, the new labor code, passed in 2014, made it legal for kids as young as 10 to work. The children’s unions are pushing for the working age to be decreased even further. RTD went to Bolivia to see how this law is being enforced and if the child workers are happy with the rights they’ve struggled for. Watch "Undermined" on RTD website and on RT’s live feed. The time of the broadcast is available on RT’s schedule page.